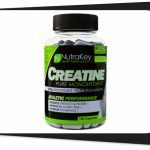 We reviewed Controlled Labs’ Green Bulge last time and we rated it as a fast acting type of creatine blend. We later found out they based Green Bulge off of a traditional predecessor in the form of Green Magnitude. We scored Green Bulge pretty well last time but we wonder if Green Magnitude will be just as good or maybe even better than its quick and efficient little brother. There’s only one way to find out! 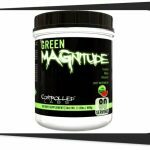 Creatine Complex: Green Magnitude makes use of the same creatine blend as Green Bulge but this time with twice the dosage. Looks good! Powdered: No fancy capsules here. Simple design: It’s one of those “lift a lot and leave” type of supplements. Directions for use: To assess your individual tolerance to the supplement, combine 1/2 scoop with 3-4 oz of cold water and consume before or after your workout. Shake well before drinking. Combine 1 scoop with 6-8oz of water, and consume pre or post workout. One scoop of magnitude 9.5 lifts, please! Dicreatine Malate as 2CMTM. 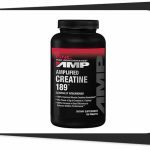 This creatine form isn’t as popular but it’s said to be much more bioavailable than creatine monohydrate as well as not cause bloating. Magnesium Creatine Chelate. This is a form of creatine that’s bound to magnesium to make it more soluble in your shake and reduce the bloating like dicreatine malate. Betaine Anhydrous. Betaine is an ingredient many recognize for its NO-boosting capabilities. Taurine. Another pump-igniting ingredient, taurine is capable of drawing water into muscles and boosts hydration, performance, and recovery while providing a good amount of lifting goodness! Tyrosine. This is an odd addition at first glance but those in the know definitely like seeing this in their stacks. It’s capable of fighting off stress while promoting dopamine production. 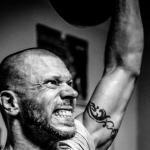 You’ll literally feel good while you lift. The form is weak, though, and we would really prefer N-Acetyl-L-Tyrosine aka NALT. If Green Bulge was all about speed, Green Magnitude is all about raw power. Let’s talk about the creatine blend first. Like Green Bulge, Green Magnitude also made use of the same mix but with twice the dosage. We figured the reduced creatine dose Bulge used was due to two things: Pricing and Absorption. The creatine forms used in Bulge ain’t cheap and the added cost of encapsulation would probably tear away from the company’s earnings if they didn’t reduce the dosage. Totally understandable but when it comes to creatine supplements, you simply see the value in the dosage, not the medium. So kudos to Green Magnitude. Betaine and Taurine are known for their performance benefits specially when it comes to NO-powered pumps. At 2000 mg each, you just can’t say no to that brother! Tyrosine is a wildcard ingredient and it’s a good addition specially when it makes you more determined to take one more rep instead of taking a break early. Form is wanting but hey, it’s a wildcard so we can’t really complain. What we like here is the amount of sets you can do in one training day. You could probably taste the performance with each scoop, you know? It’s got the perks of good ‘ol creatine when it comes to gains, lots of good pumps, and a feel-good twist. It’s a standard formula so we imagine it can fit into pretty much any lifter’s stack of the month. It can be for the newbies afraid to try something too complex or for the oldies who are cycling their stimulants or looking for a good stack to build on. Creatine is known to cause bloating and by bloating we mean you want to puke like you drank too much kind of bloating and this could be a problem when lifting max after max. Thankfully, Green Magnitude used the forms with a reduced-bloating benefit so maybe the impact won’t be so bad on your belly. Simple and clean. Basic but effective. Quality creatine. Not just plain monohydrate. Performance and pumps. Lift more many times! One-scoop. No more measuring and dosed just right. Stackable. Formula is bare enough for some extra lovin’! Reduced bloating. Creatine forms aren’t bloaters. Good value. 80 servings for a good price. Boring. Some users prefer more zing. Generic forms. No premiums included. More pumps. Some users trip on NO like a drug. 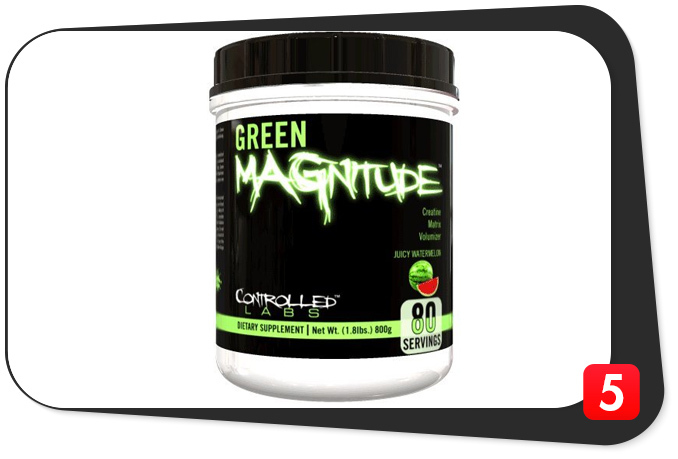 Controlled Labs Green Magnitude is your traditional creatine blend. 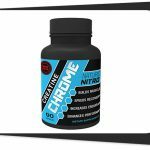 It’s a step up from the standalone supplements but not so fancy that it loses focus on why it’s called a creatine blend. Dosage is good, decent pumps, and the extra nootropic twist ain’t so bad either. It’s one of those products you may not really, really like but you can’t hate it either because it works.